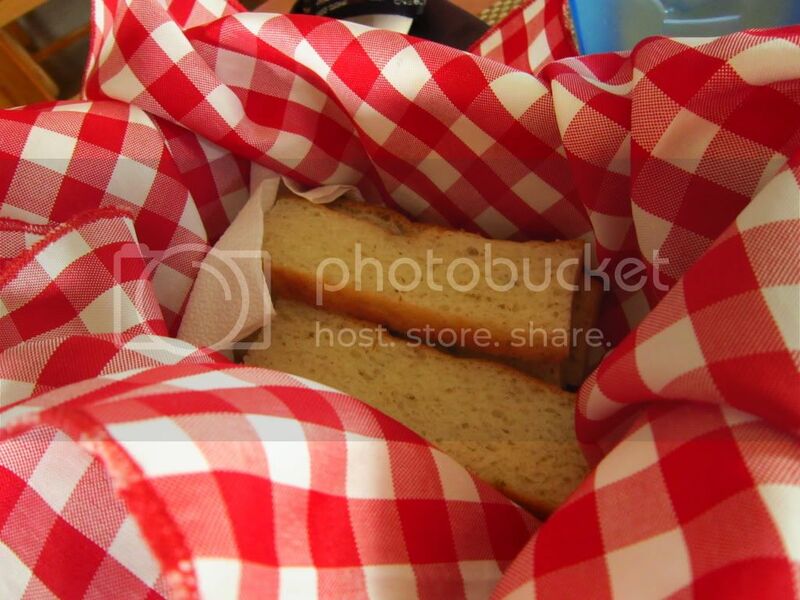 Whenever I hear the words 'Italian food', the first thing that comes to mind is Buon Giorno. 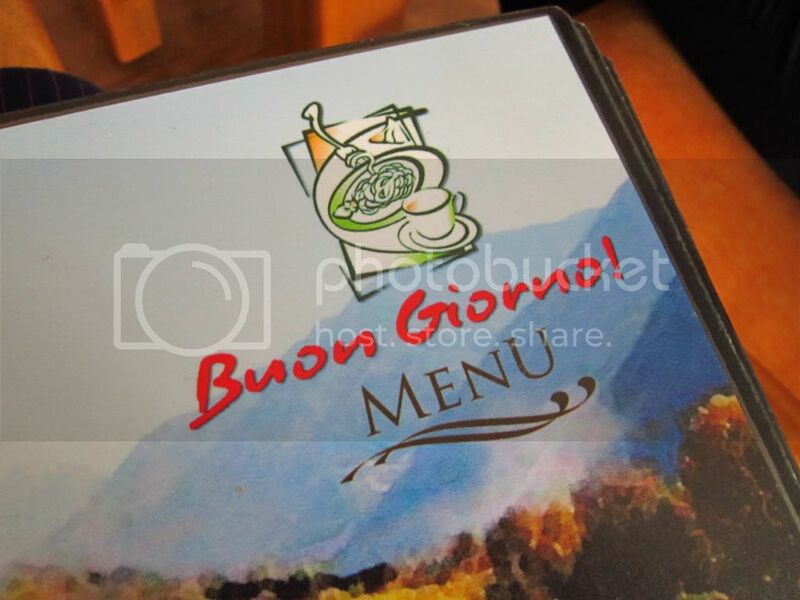 I have tried other Italian restos before, but I have never been somewhere who can beat Buon Giorno. By the way, Buon Giorno means 'good morning' in Italian. An Italian meal is not a meal without pizza and pasta. The servings in Buon Giorno are good for sharing. We ordered Penne All' Arrabiatta, Spaghetti Bolognese and Cannelloni Spinaci. 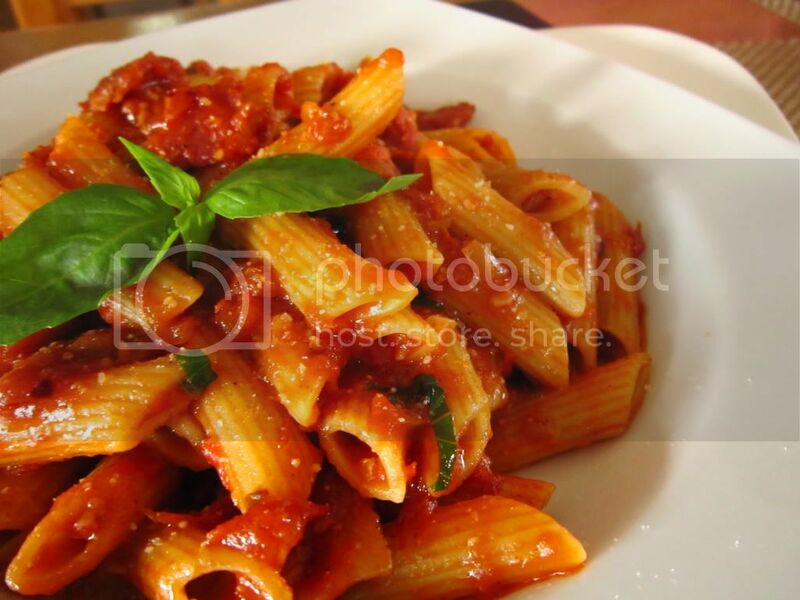 Penne All' Arrabiatta (Php 286) is penne with bacon bits simmered in a spicy tomato sauce. 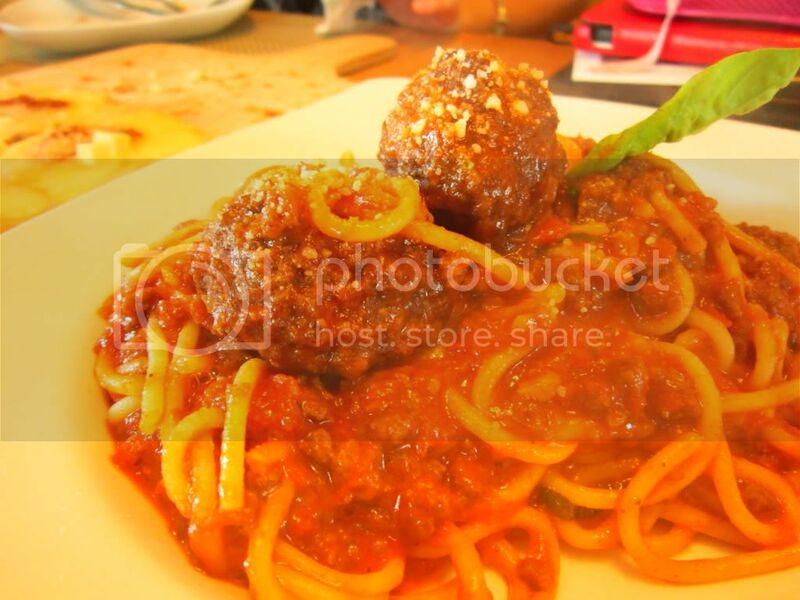 Spaghetti Bolognese (Php 263) is the classic meatballs and pasta in tomato sauce. 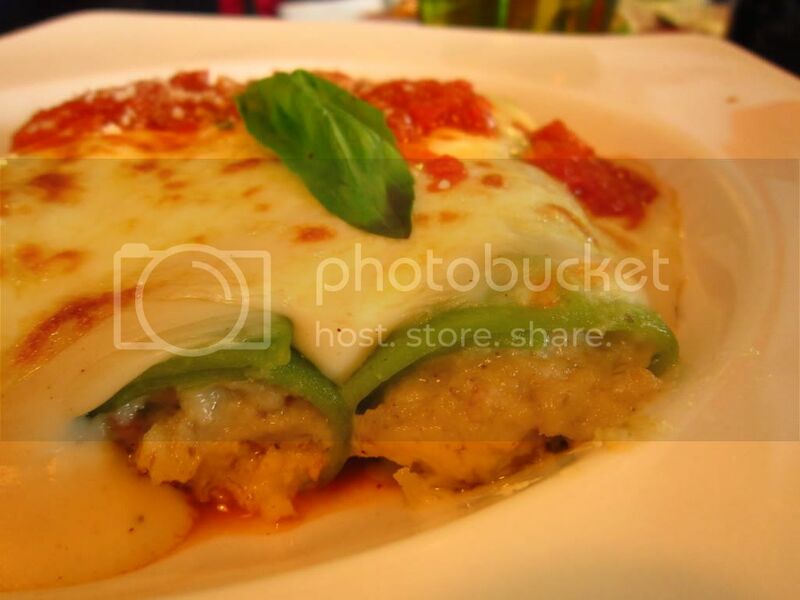 Cannelloni Spinaci (Php 294) has tender bits of chicken and mortadella ham rolled in sheets of spinach pasta, smothered with tomato sauce and cheese. For the pizzas, we got New York Pizza and Quattro Formaggi. 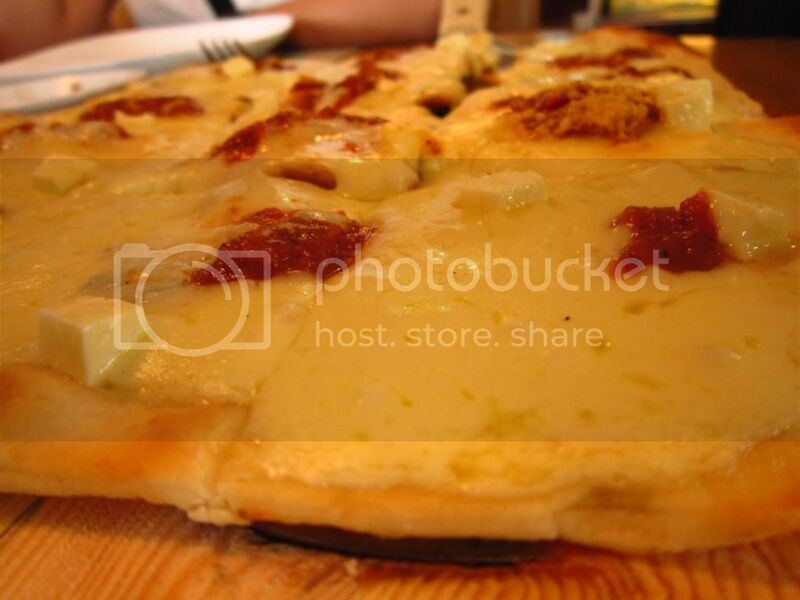 New York Pizza (Php 295) is the classic assorted meat, bell peppers and cheese toppings on a thin and cripy dough. 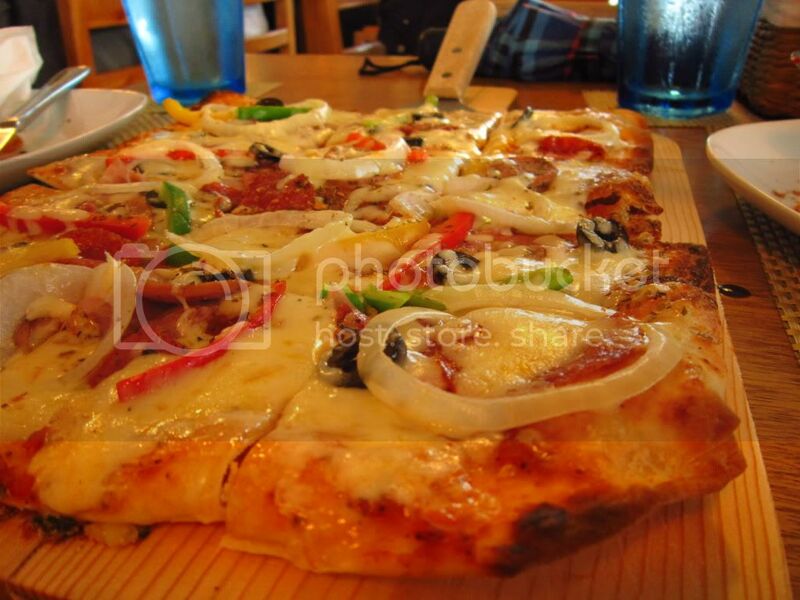 Quattro Formaggi (Php 330) is a mixture of four cheeses: Mozzarella, Fontina, Parmesan and Gorgonzola. My personal favorites are the New York Pizza and the Penne All' Arrabiatta. I love thin crust pizzas and though I'm not into spicy food, I like the kick of the Penne All' Arrabiatta. This is a perfect place for either romantic dates or get-togethers. I'd love to go to their Tagaytay branch and try their breakfast dishes one time. Hi Jane! Got your email. Thanks for the help! And yeah, the authentic Italian pizza is really thin, right? Whoa, I will try this soon! And see if my favorite Italian resto will be replaced. Haha!